In 1989 he was sentenced to prison for the first time. Without any valid proof of having committed a crime. He was released in September 2008, almost twenty years later. Even though he does not see it that way himself: he did not want to be released out of pity for his old age, but only on the basis of the charges against him. This is one of the reasons why he still wears his blue prison shirt. He may be outside the prison walls, but is still not free to do as he wants in his country. 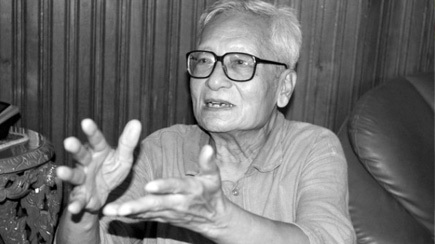 A brave man with a vision and a dream of a free Burma. A comparison with South Africa’s anti-apartheid hero and former president Nelson Mandela comes to mind. But there is one profound difference: U Win Tin’s struggle is purely non-violent. He believes this is also part of the character of the Burmese people. I ask him whether he thinks that maybe at some point, violence will be neccessary to create change in Burma. “I do not think it is neccessary to use violence because people in Burma are really – because of their religion – mild and very docile. Their will, their desire is not to use the violent way. 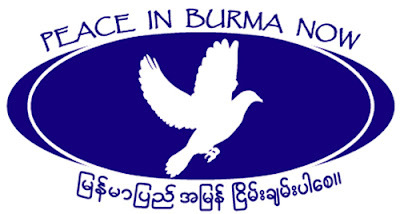 Even to use a violent word is frowned upon in Burmese society. The people like to be very polite and very quiet and they do not express their will in a violent way. He then elaborates on the violent suppression of the 2007 Saffron Revolution. People are shocked by this and and do not like it.